When Sean Penn announced Birdman had won the 2015 Academy Award for Best Picture with his “Who gave this guy a green card?” comment, the ridiculousness of his remark (and the – let’s be honest – even more ridiculous outrage afterwards) overshadowed a deeper truth. 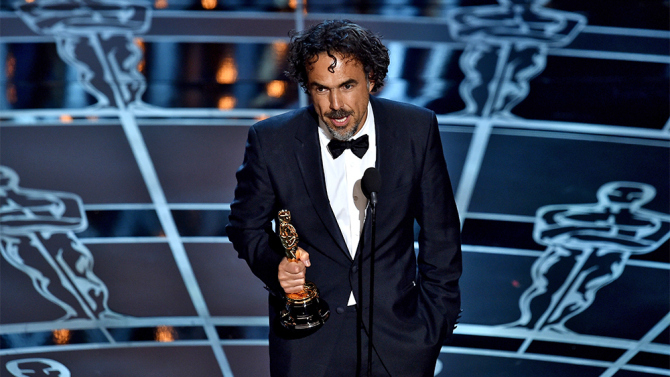 With the two most recent Best Director Oscars going to Alfonso Cuaron (for Gravity) and Alejandro Gonzalez Inarritu (Birdman), we are actually seeing a mercurial rise of Mexican filmmakers. Not that these guys haven’t been doing big things for years; it’s just recently their peers have been throwing awards at them and their names are recognized as some of the top directors working today. So far I’ve left out the third member of the “Three Amigos” of Mexican cinema, Pan’s Labyrinth and Pacific Rim director Guillermo del Toro. Together they make up a fascinating coalition of foreign filmmakers weaving in and out of the Hollywood studio system. All in their early 50s, they came up in the 1990s assisting and critiquing each other’s movies. Now their voices are some of the most influential and idiosyncratic in the entire industry. But how did they ever get there? The story began in the late 80s on the set of a Twilight Zone-esque Mexican TV show called “La Hora Marcada”. Cuaron was an assistant director and del Toro was doing special effects and makeup work (which, if you’ve seen any of his movies, is not much of a surprise). They struck up a friendship there, but who knows if they actually foresaw any of the greatness either of them would achieve. That show would run from 1986-90, which allowed Cuaron to direct his first feature film in 1991, Solo con tu pareja. Part screwball-comedy, part existential crisis, it’s the story of Tomas, a womanizer who comes to believe he has AIDS because one of his old flames tampered with his medical forms. Cuaron wrote the screenplay with his brother, Carlos, and it’s easy to see why they were drawn to this type of hybrid comedy-melodrama. Tonally, it’s kind of a mess. One minute we are watching Tomas run through a series of slapstick bits you might see on “Friends”; and the next he’s contemplating suicide. I mean, things darken in a hurry. But that’s the charm of Solo con tu pareja — you just know there is talent behind the camera, even if it’s raw and unrefined at the moment. With now-world-renowned cinematographer Emmanuel Lubezki (who also worked on “Hora Marcada”) at his side, the two zoom and swing the picture in wildly unpredictable and exhilarating ways. Not everything works, but it’s all incredibly watchable from start to finish. Next came Cronos in 1993, del Toro’s first effort in the director’s chair. Again, there’s nothing transcendent here — these aren’t Quentin Tarantino origin stories. Cronos is a stylish, unnerving tale of greed and mortality. Ultimately, it’s not my cup of tea, but it does make for an interesting primer for the rest of del Toro’s career. Most of which, he has stayed in the fantasy/horror/gore lane. Throughout the rest of the 90s, Cuaron would take two directorial gigs that scream “hired hand”, as he didn’t write either of them. However, 1995’s A Little Princess and the Charles Dickens’ adaptation Great Expectations (1998) were both generally well-received, despite the low stakes of the former and the high stakes of the latter. Meanwhile, del Toro helmed Mimic, his 1997 horror-sci-fi picture that failed to move the needle. Neither had found their big break, or reached their prime, yet. Around this time, Inarritu met Cuaron through their mutual friend (and cinematographer) “Chivo” Lubezki. Inarritu was a radio DJ-turned-filmmaker out of Mexico City, which you certainly don’t see everyday. Tinkering with his first film, Amores Perros, he brought it to Cuaron for advice. After the two chopped and rearranged it, it was released in 2000 to near-universal praise and a Best Foreign Language Film Oscar nomination. The multi-narrative thriller criss-crosses between three stories, providing a vivid, lived-in portrait of Mexico City life. It’s intense, fast-paced, and packs an emotional punch. For my money, it’s his best pre-Birdman movie. The next year, Cuaron and del Toro returned to their roots with two Spanish-language 2001 releases. For del Toro, The Devil’s Backbone was received as a wonderfully creepy and intelligent ghost story. According to IMDb, its story revolves around a boy who arrives at an orphanage, only to find it haunted and loaded with dark secrets. One way to tell the difference between del Toro and the rest of his Amigos: does the movie’s synopsis feature the words “haunted” or “dark secrets”? 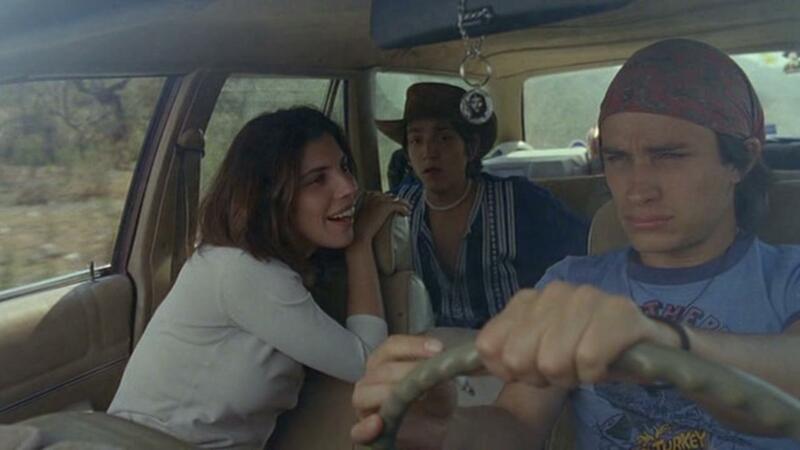 Alongside his brother Carlos, Cuaron wrote his first script in a decade for Y Tu Mama Tambien. With weighty themes built into a light road movie format, this film excels on multiple levels. There’s a sense of adventure and fun amidst real loss and shame, while Gael Garcia Bernal submits one of his better performances (he’s in two of Inarritu’s movies as well). Nominated for Best Original Screenplay, Cuaron had received his first nod from the Academy. Now we come to the point where each of them start to truly break into the mainstream. With Oscar noms and highly acclaimed films under their belt, Hollywood started calling more frequently. Over the next few years, del Toro would make genre fare like Blade II (2002) and his dream project, Hellboy (2004); Cuaron made the most visually remarkable entry into the Harry Potter canon, with the Prisoner of Azkaban in 2003; Inarritu followed up Amores Perros with a spiritual sequel in the oppressively depressing 21 Grams, featuring Sean Penn, Naomi Watts, and Benicio del Toro, earning an Oscar nomination for the latter two. If 2002-05 was their mainstream breakout, 2006 was when the Mexican New Wave truly arrived. They garnered 16 Oscar nominations between their three films released that year and all were received glowingly by critics. Children of Men, Cuaron’s stunning and criminally underrated dystopian view of a world where women have become infertile, features a riveting plot and swaggering stylistic impulses bordering on overconfidence (I mean, just watch this frantic long take). Similarly, del Toro’s completely original fantasy adventure, Pan’s Labyrinth, was praised for its singular vision and incredible world-building. Finally, Babel, Inarritu’s final chapter in his downer of a multi-track narrative trilogy, was recognized most heavily by the Academy, finding its way to Best Picture, Director, and Screenplay nominations. In an interview with Charlie Rose, Cuaron called the three “sister films”, based not only on the fact that they each gave and received input throughout the films’ productions, but also by their similar themes of “ideology as a wall between communication and people”. That’s smarter than I could’ve put it so we’ll move on. 2006 remains the banner year for these guys, when you couldn’t escape their excellence. Quieter times were ahead, though. The next year, the three formed Cha Cha Cha Films, their production company that released a few Mexican films, one directed by Inarritu and another by Carlos Cuaron, but has been relatively inactive since. Del Toro made a Hellboy sequel in 2008 (Hellboy II: The Golden Army, apparently there needed to be another?) and, in 2010, Inarritu put out his Javier Bardem-led Biutiful, which has been described as slow, grim, and bloated — so yeah, not his best. It wasn’t until three years later that all three would emerge yet again with some of their best material. 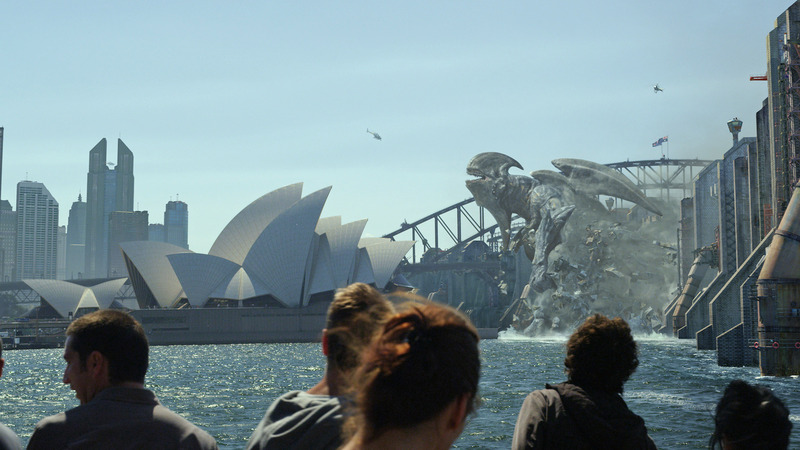 After co-writing The Hobbit trilogy with Peter Jackson, del Toro’s next dream project was Pacific Rim, his “robots vs. sea creatures” CGI-epic. As are most of his movies after you only hear the plotline, the result is better than you would think. It’s a crazy fun spectacle, even as the acting (besides Idris Elba of course, whose character has one of the great movie names: Stacker Pentecost) fails to add much of a human element. That year, Cuaron would also return with what will likely go down as his masterpiece. 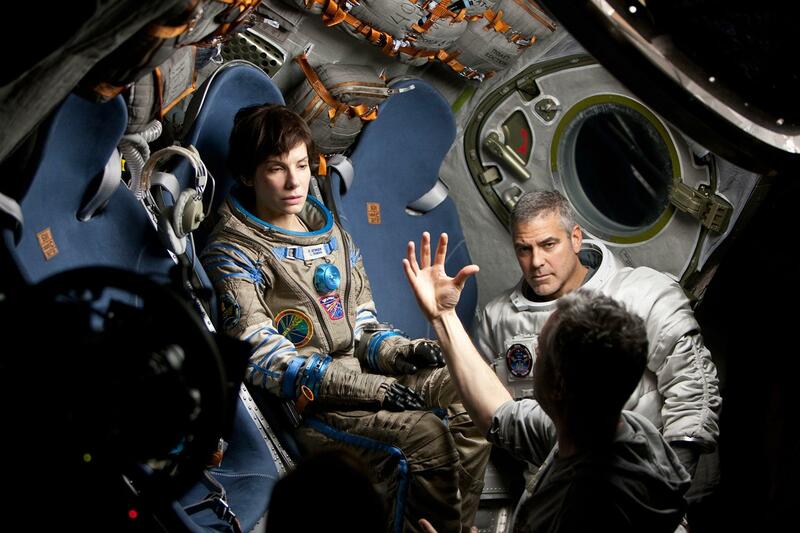 Gravity, co-written with his son Jonas, took four years to make, which isn’t super surprising given the ambition at hand; it’s still unclear how Cuaron pulled off the following: set a movie entirely in space, cast two actors (TWO! ), film that tracking shot at the beginning, and make me comfortable following Sandra Bullock around for 90 minutes (not the biggest Sandy fan). Through all this, he creates one of the best films in the last few years, a critical and box office smash. The entire thing is spellbinding from start to finish, with more than a few jaw-dropping sequences shot by his longtime partner Lubezki. A quick caveat on him: Lubezki will go down as one of the great cinematographers. In addition to his wizardry with Cuaron and Inarritu, for which he is now a two-time Oscar winner, he has worked with Terrence Malick on his last five productions (including The Tree of Life), AND shot this electrifying Nike World Cup ad in 2010 (directed by Inarritu). At this point, it has become tough to tell who is making who look good. Increasingly, I think Lubezki may be the most talented “amigo”. When it comes to Academy recognition, Gravity should’ve been the zenith for the Three Amigos. It was a technical feat and a mainstream hit, picking up 7 Oscar wins. However, just one year on, Birdman and Inarritu has supplanted it by taking home Best Director and Best Picture. The Mexican New Wave is more like a tsunami now. So far, I’ve discussed the Three Amigos as a group so much that I’m doing a disservice to their differences. While they may occasionally work together as a kind of Mexican super crew, you can see they each have their own highly specific vision and style, which has led them down distinctive career paths. Inarritu was the one obsessed with narrative, and how it weaves and curves through all of our miserable little lives. That is, until Birdman, when he ditched the multi-narrative method and dour mood for a black comedy with deep currents of psychological exploration over free-form jazz drumming. I have no idea what happened in the four years between Biutiful and Birdman, but thank goodness he decided to blow up his style. Of the three, del Toro is the self-described nerd, the one a little too into comic books and creepy ghost stories. His films have had an ominous feeling of mystery and dread since he got his start over 20 years ago. That feeling, and the imagination pouring out of everything he does, hasn’t changed even as his budgets have grown. If you couldn’t tell by now, I’m most enamored with Cuaron’s work. His visual style and propensity to make unorthodox, left-field choices has made me believe he’s the most underrated director working today. An all-around cinematic genius (he writes, directs, and edits), his modest start has meandered its way to an unmitigated success. Maybe it’s because he’s foreign or maybe it’s because 7 years passed between his two most recent films, his name just doesn’t get mentioned when a “best director alive” discussion heats up. However, that is changing. The Three Amigos have cemented themselves in the rank of elite filmmakers and their credibility only continues to accrue. Their lengthening reach has even taken hold on the small screen — del Toro created the FX show “The Strain”, Cuaron did the same for the short-lived NBC drama “Believe”, and Inarritu will make his TV debut by co-creating “The One Percent” on Starz. Coming up, they all have projects in the works. Inarritu is also currently filming The Revenant, a revenge tale set in the 1820s starring Leonardo DiCaprio and Tom Hardy. Count me in on that one. A Boy and His Shoe has been announced as the next film written by Cuaron and his son. Finally, del Toro has Crimson Peak releasing this fall. It already has a trailer out and looks suitably strange and unsettling (first line? “Ghosts are real. This much I know.” Classic Toro). Are there failures or misfires on their resumes? Sure, but the peaks clearly outnumber the valleys for these guys. Their journey from small-time TV work in Mexico to accepting Oscars onstage has been nothing short of a miracle. It’s amazing what talent, work, and a green card can do.